HEISLER has the capability to design, manufacture, and install the systems and equipment necessary to establish cost effective, reliable, and efficient packaging operations for companies worldwide. The HEISLER Pail De-lidder makes automatic lid removal quick and easy. The Automatic Pail De-lidder quickly and efficiently separates the top portion of a container lid from the locking ring at up to 25 units per minute. The pail is indexed into the lid cutting station where the pail lid cutter extends and engages the lid just below the pail lip. The pail is spun until the lid is cut all around the pail. The lid cutter safely retracts so the lid can be easily removed by hand or by an optional automated pail lid remover system. A pail dumper is also available. One unique feature of the Automatic De-Lidder System is that the locking ring stays captured on the container. 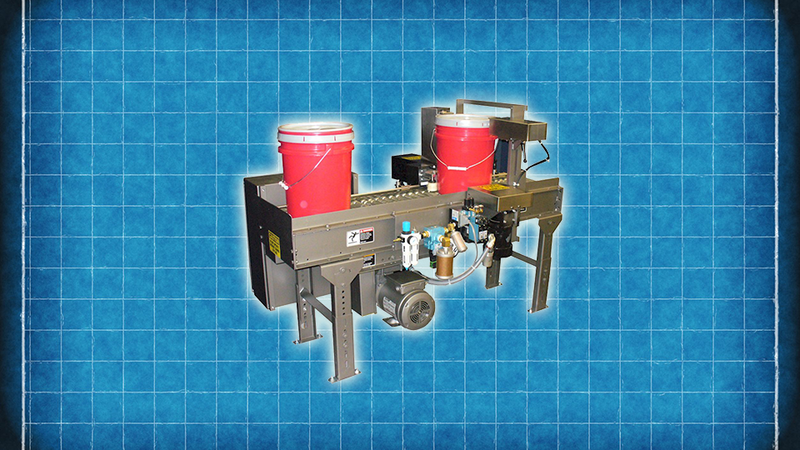 Contact us at heislersales@heislerind.com or by calling 973-227-6300 to learn more about Pail De-lidder System.